Transparency in packaging design can be taken literally or figuratively, and consumers are interested in both. In the literal sense, consumers like transparent windows in product packaging that let them see the product inside the package. They like looking inside without having to open up the package. Figuratively, however, transparency is a little harder to pin down. Mainly, consumers want CPG packaging to be informative and straightforward. The “clean label” trend is one aspect of transparency. There is no single, agreed-upon definition for clean label, and it means different things for different products. For foods, for example, a clean label design can call out the fact that the product is organic, GMO-free, low in sugar, or that it contains added functional ingredients like vitamins. Ultimately however, both transparency and clean label point to an increased desire among consumers to make more informed choices. Consumers want to know what’s in their foods and beverages, their personal care items, cleaning products, and home maintenance products (like insect repellent). 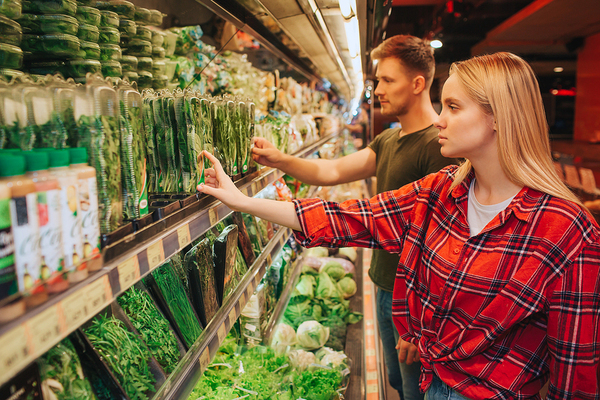 One study by Nielsen and Label Insight found that 39% of shoppers would consider switching brands in order to use products with more label transparency. Key marketing claims that fuel sales growth today include “organic,” “free from,” and “natural.” These claims are no longer just important among premier or specialty retailers, but in everyday retail settings. In fact, warehouse and club retailers now lead in organic spend among retailer types, according to Nielsen. When packaging designs clearly inform consumers about ingredients, lack of ingredients (like artificial flavors), and added functional ingredients that support health, they reach out to consumers more than do packaging designs that are hard to understand, or that obfuscate information consumers want. What they see on retail shelves influences Americans, and it is CPG packaging that has the best opportunity to engage with consumers in that setting. 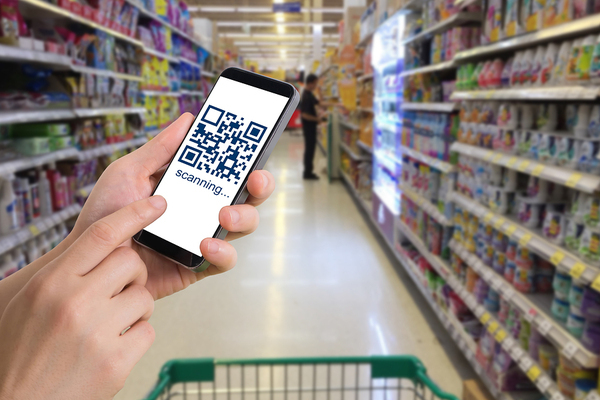 There are countless ways for packaging designs to be more informative about health-related CPG properties, from scannable QR codes to cleverly-designed labeling to health-informative advertising. Sustainability is another aspect of transparency that is important to consumers. The wellness that consumers seek through the products they buy goes beyond physical health to encompass a sense of responsibility that comes with selecting sustainable packaging. A Nielsen Product Insider survey found that the highest sales growth in retail is in products that call attention to sustainability and social responsibility. Products that call out sustainable resource management on their packaging are seeing sales growth in the neighborhood of 6%. The good news is that CPG brands don’t have to completely redo their product offerings to satisfy the consumer need for transparency. Making packaging designs and labeling on existing products more informative is a popular way for brands to let consumers know they hear them and want to engage. One example is Frito-Lay, which changed its packaging to reflect that its potato chips contain only three ingredients. This move helps consumers better understand what goes into a favorite snack food and allows them to feel more confident about a food many consider a small indulgence. Ultimately, each brand must look at the research, determine what transparency means in the context of their particular CPG category and plan accordingly. For some, it may mean calling out particular ingredients (or lack thereof) more plainly. For others, it may mean drawing attention to packaging sustainability properties. But it’s always about listening to the consumer and engaging with them via outstanding packaging design.